Whale Spa’s Pure Pedi chair is portable and plumbing free. The pedicure bowl is retractable, so when not in use, the bowl can be stored underneath the chair. This is not only visually appealing, but it also saves space in the salon. 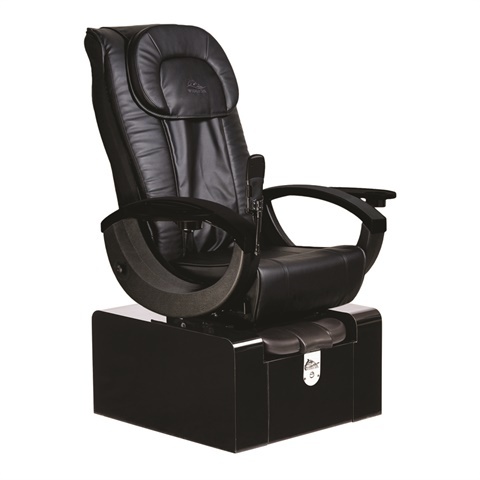 The chair has power outlets, a foldable manicure tray, purse hooks, and the company’s signature Caresst Massage, which gives off heat and vibrations. The chair comes in five colors including matte black, gloss black, matte white, gloss white, and gray. For more information, visit www.whalespainc.com.